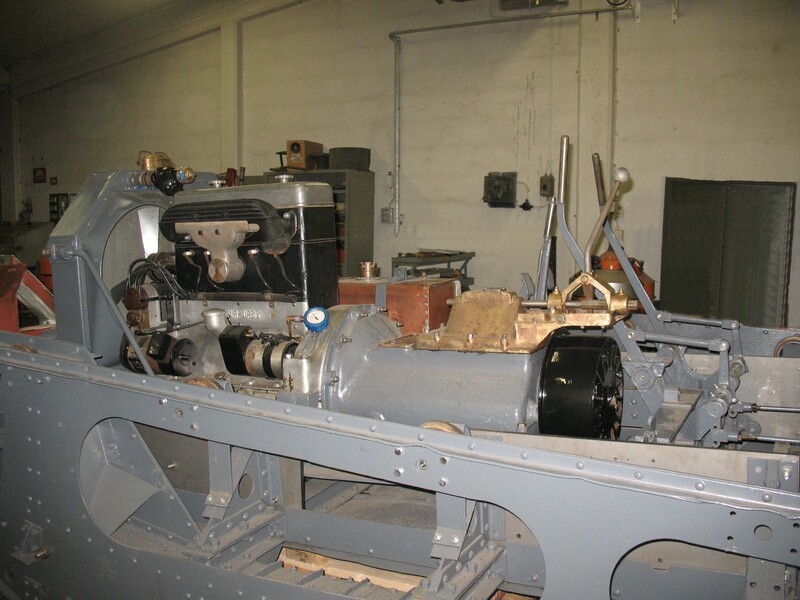 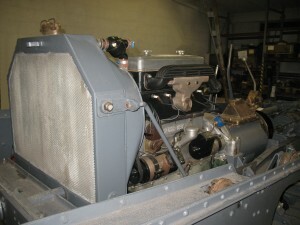 The fuel system consists of the fuel tank, carburetor and an electric fuel pump. 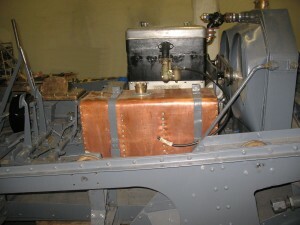 The petrol pump, an AutoPlus, works surprisingly good. 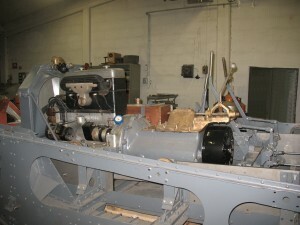 after the renovation. 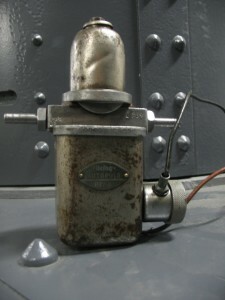 We did not think that we could get a pump more than 80 years old started. The electrical system is begining to come into place. 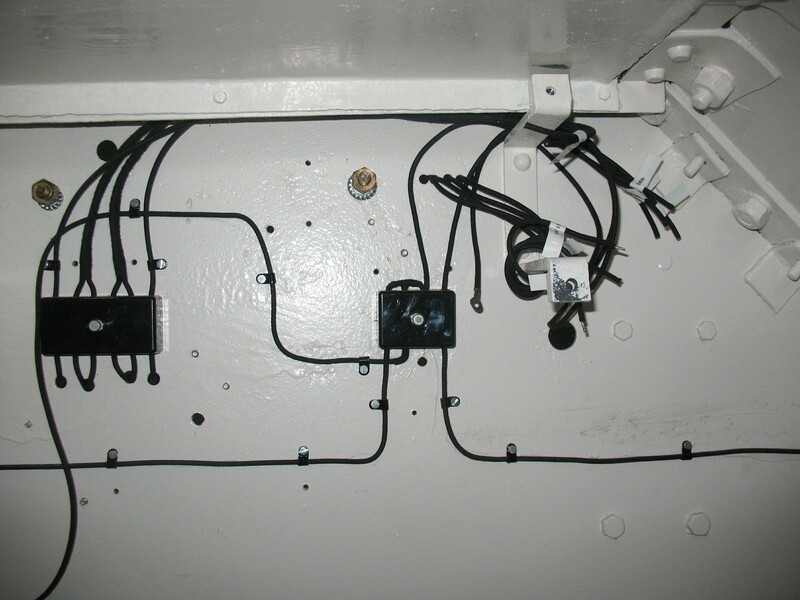 The electrical system is not particularly complicated. 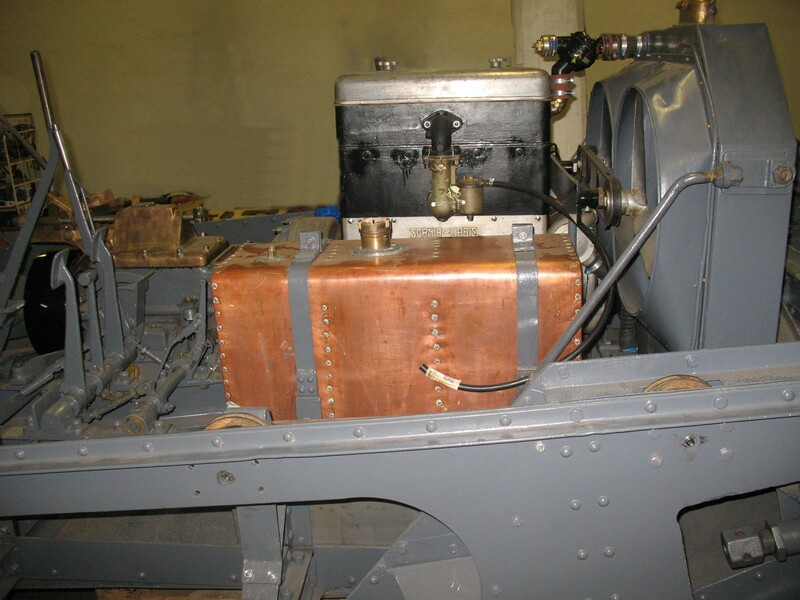 It consists of two fuse boxes, lightning, the electric starter and an electric fuel pump. 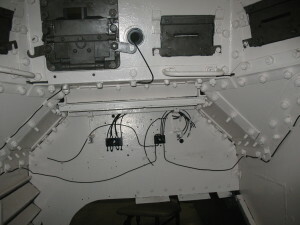 Under the dashboard are most cables coated. 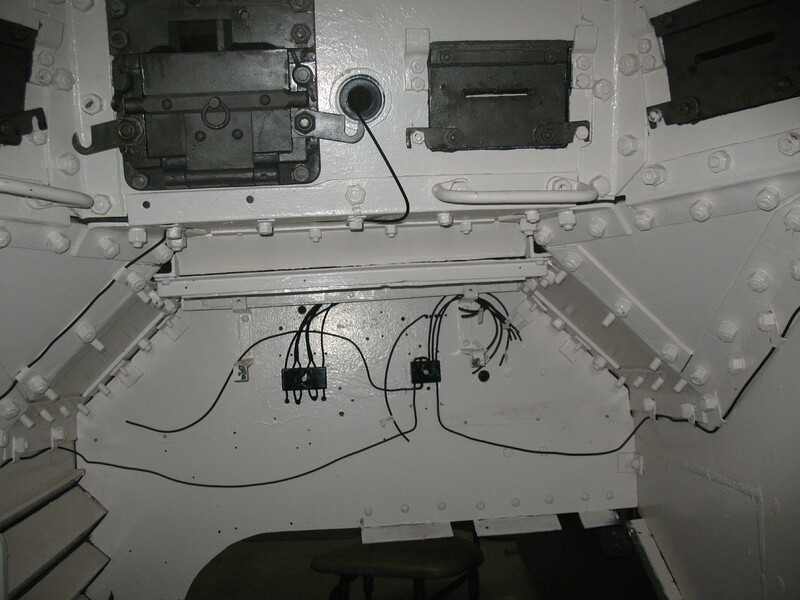 Even in the engine compartment begins cables come in place. 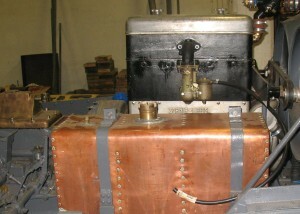 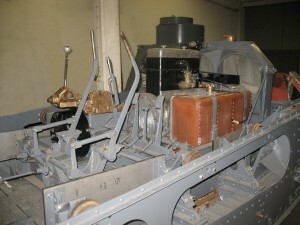 A number of images of the powerpack. 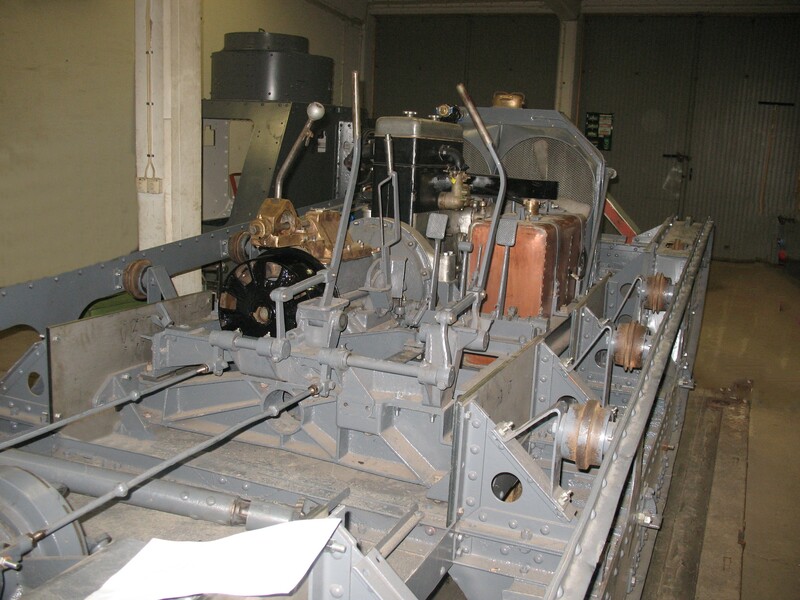 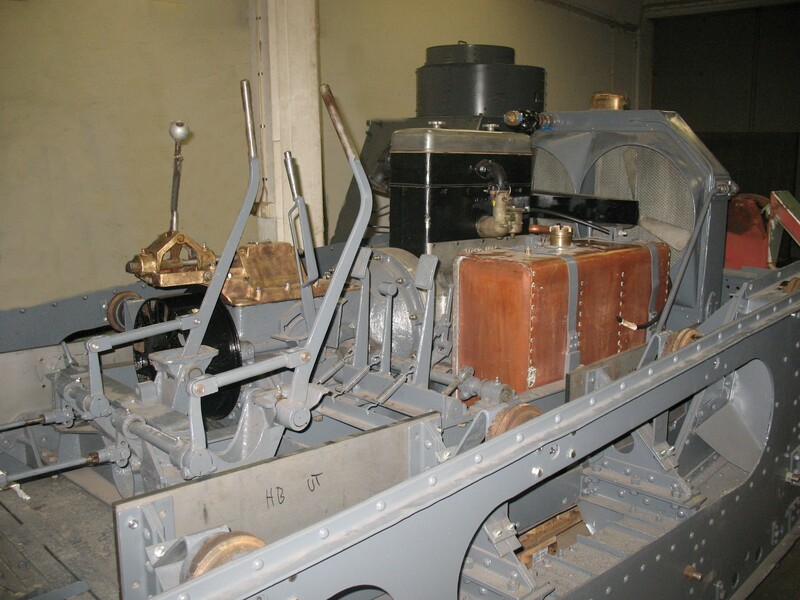 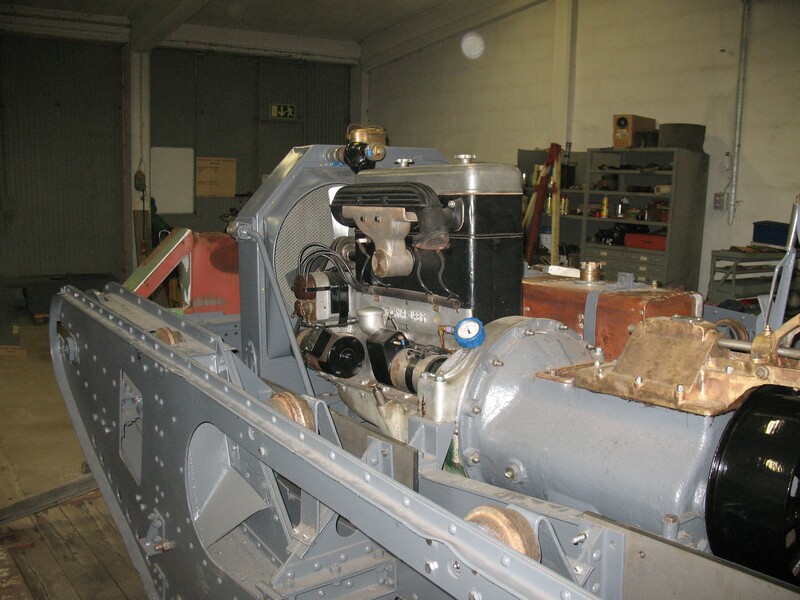 Radiator, engine and gearbox from Scania, manufactured in 1929. 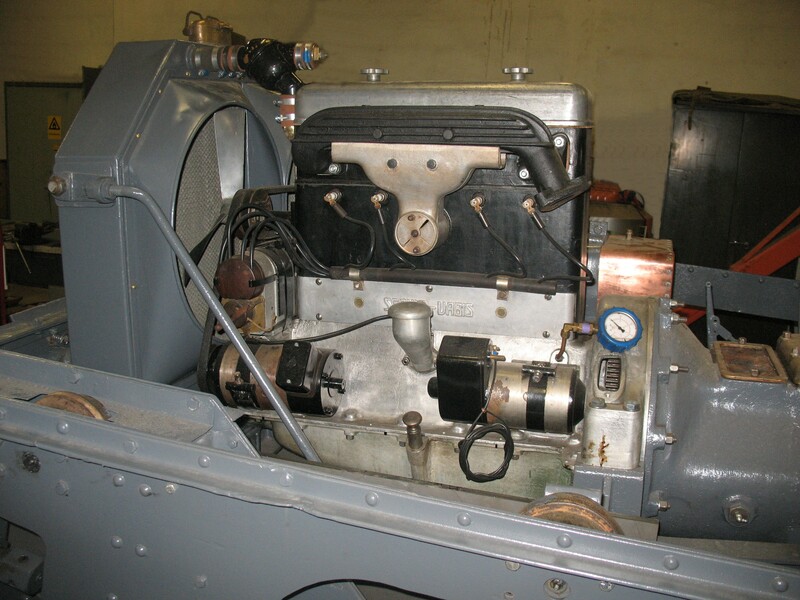 All other mechanics were made in Germany 10 years earlier. 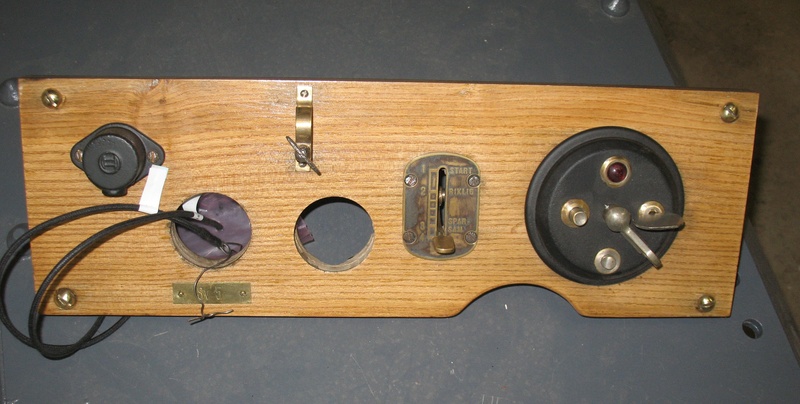 We have started to refit the interior of the body. 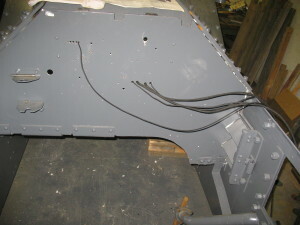 All hatches are mounted. 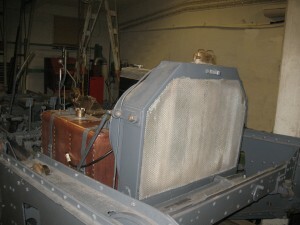 However, they are not painted jet. 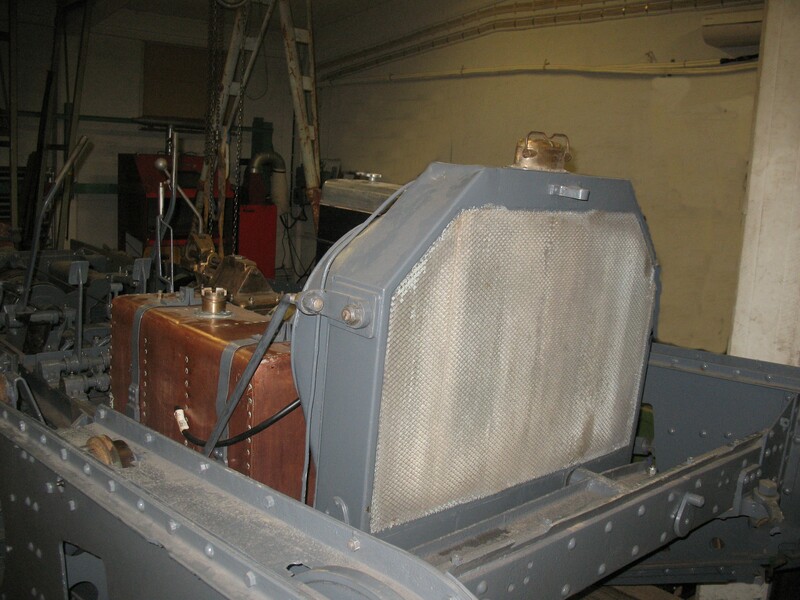 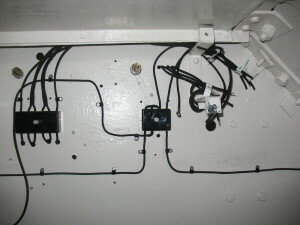 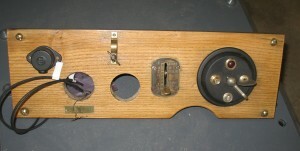 The fuse boxes and wiring inside the fighting compartment are mounted. 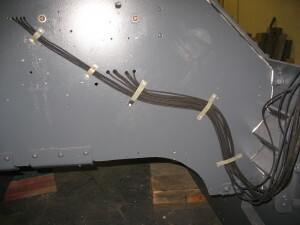 The cables for the front lights are prepared for mounting.